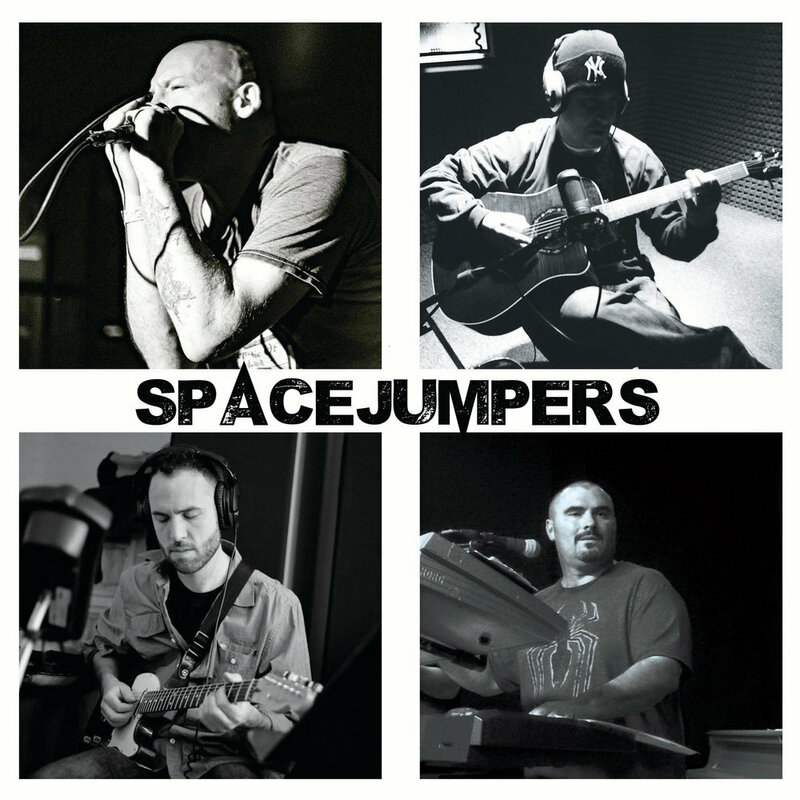 Interview: Poughkeepsie, NY Hip-Hop Group SpaceJumpers Discuss Their New Album "The Frequency of Life"
SpaceJumpers is a Poughkeepsie, NY based Hip-Hop group comprised of Jimmy Mack, Nyles The Third, Kisslinger and Mark Cocheo. The group just released their new album “The Frequency of Life”, so it’s only right that we connect with them for an exclusive interview to discuss the project and their creative process, their musical goals for 2019, and what they want the listener to do when they listen to it for the first time. After reading our Q&A with SpaceJumpers, be sure to connect with them on social media, and stream “The Frequency of Life” ASAP! Salute to you guys for the completion and release of your debut album "The Frequency of Life". What does the album's title represent? This can be answered in two ways. First, the name SpaceJumpers is an idea of not feeling isolated and being brave to take a leap of faith in music or any passion in life. The name "Frequency of Life is an even more detailed part of the previous answer in that this album is a soundtrack to life and all the highs and lows that come. Tell us about your creative process when it came to the development of the songs that appear on the album. Were there any songs that were recorded that didn't make the cut? If so, why? The creative process was pretty much constant throughout the development of the album. Myself, Jimmy Mack started all the beats and did an arrangement and rough mix. Kisslinger and Mark Cocheo conducted separate sessions with me to add various keys and guitars respectively. Once those sessions were completed, Nyles the Third, a great guitar player in his own right, actually played the guitar on “One Way or Another” and “Looking Up” and wrote songs to all the tracks that he heard. Songs are written and recorded to every beat and was eventually mastered by Nyles the Third. It was a true team effort and each part played a vital importance to the creative process. The whole album is dope but we selected "Looking Up" as our showcase song because it really stands out to us as the crown jewel. What inspired you to write this song? “Looking Up” was no different than any other track on the album from a creative standpoint in that the formula was the same. I started the music, Kisslinger added keys and Nyles the Third played guitar and wrote lyrics. He describes the inspiration as waking up early one day, sun was out and feeling inspired to be positive. What are some of the group's musical goals for 2019? Our main musical goal for 2019 is to make people aware of SpaceJumpers, “The Frequency of Life” and get as many people as possible to listen to our music because we feel It has something positive to offer. Aside from that, we are creative people first. We are working on new music and songs to record and release soon. Finish this sentence - "When someone listens to "The Frequency of Life" album for the first time, we want them to..."
Appreciate the time and effort that went into making the album sound great both sonically and from the lyrical standpoint. Is there one song from the album that you look forward to playing live the most for an audience? If so, why? I have a special place in my heart for all the tracks but I can speak for the group I think “My Portrait” is really fun to play live. Everybody really played a good part of production on that song. I played the drums and bass, Kisslinger added crazy piano runs, Mark Cocheo played the dirty guitar, and Nyles the Third came through with a dope song.